I have a double whammy, hubs is Irish and loves a bargain! So when 70 pounds of potatoes go on sale for $7.00, he can’t resist buying a couple of bags. Even with hundreds of potatoes growing in my garden! Yes, he is a meat and potato kind of guy. Potatoes go with everything! So I love coming up with new potato recipes. Potato salad, twice baked potatoes, Hasselback potatoes, potato au gratin, smashed potatoes, mashed potatoes, baked potatoes….you get the idea! You say potato, I say potato, let’s have a potato party!! 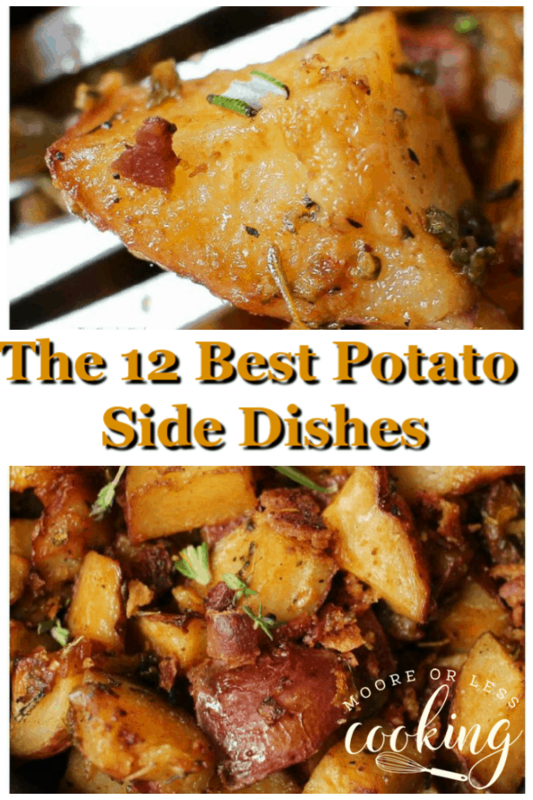 Scroll down to view the BEST Potato Side Dishes! Pure comfort food, your family and guests will be going back for seconds or Threeconds…is that even a word? 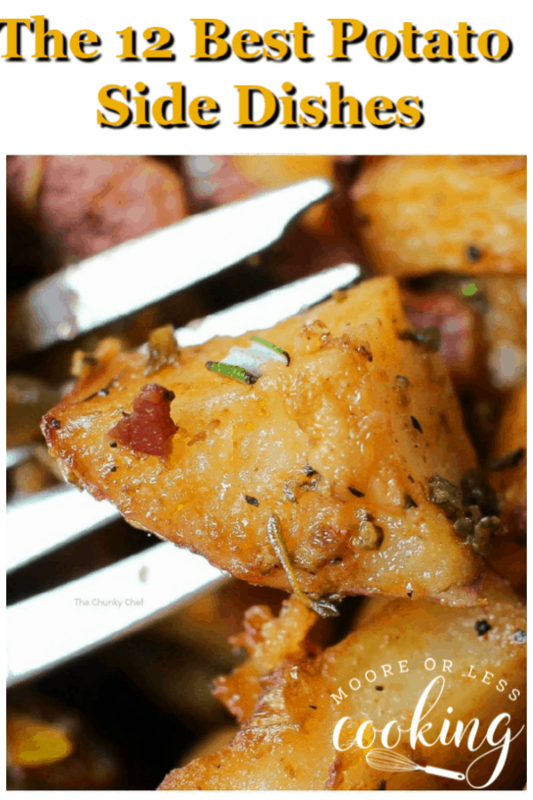 It will be when you serve these delicious potato sides! This easy to make-yet-elegant side dish is the perfect potato recipe for any party or celebration. A crowd pleaser! Get Recipe Here from Living Sweet Moment. This post originally aired on Parade, Community Table. I love potatoes any which way—these all look fabulous! So many good ones here. My husband could/ would eat potatoes every day but I get bored easily. This will be a great way to mix it up and still give him his taters! All these potato dishes are drool worthy!! We love potatoes here!! They all sound incredibily tasty, Nettie! All of these potatoes look delicious Nettie! pinned and shared! This is a delicious gallery of potato recipes! I wouldn’t know which one to choose! For a potato lover this is heaven, I want to eat them all. We love hassleback potatoes – definitely our favourite side dish. Wow, these look absolutely amazing, I’ve always preferred the simple french fry or mashed potato as my potato side-dish, but I’ve got to try some of these out. I think my wife would love to try the smashed roasted cheesy potatoes and they look like they’d go great as a side to some steak. Hopefully she and I can go out and get the ingredients for this soon since my mouth is already watering at the thought of them.